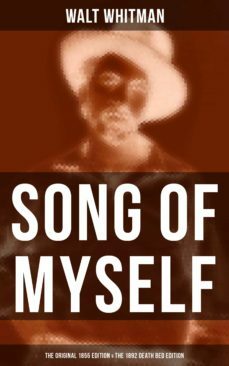 "Song of Myself" is a poem by Walt Whitman that is included in his work Leaves of Grass. It has been credited as "representing the core of Whitmans poetic vision". The poem was first published without sections as the first of twelve untitled poems in the first (1855) edition of Leaves of Grass. The first edition was published by Whitman at his own expense. In 1856 it was called "A Poem of Walt Whitman, an American" and in 1860 it was simply termed "Walt Whitman." Walter "Walt" Whitman (1819 – 1892) was an American poet, essayist and journalist. His work was very controversial in its time, particularly his poetry collection Leaves of Grass, which was described as obscene for its overt sexuality.